Not many comics take a stab at performance art and even less successfully pull it off. 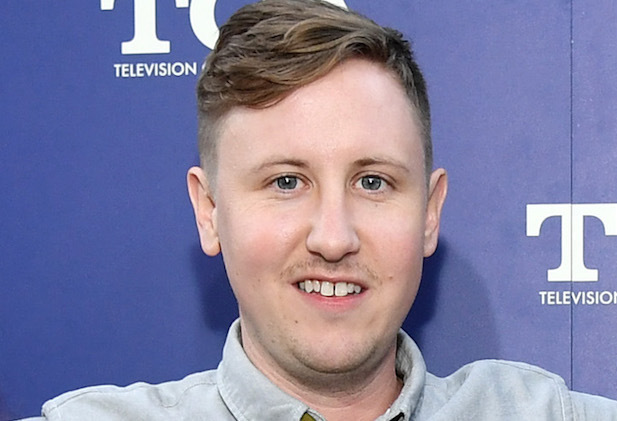 Johnny Pemberton isn't one of them, at least not yet. The Rochester native took a break from shooting his NBC sitcom, "I Feel Bad," to try conjuring up the ghost of Andy Kaufman Friday at the Parkway Theater, He entered the venue from the back of the house, climbing over and under seats, guzzling water from patrons' water bottles and spilling bargain-basement DVDs. That was followed by two minutes of dancing in an over-sized suit to The Emotions' "Best of My Love," pretending to be gunned down by recorded bullet shots. It was pure chaos -- and the most planned portion of his one-hour performance. At times, it was hard to tell if Pemberton was making fun of Jerry Seinfeld ("What's the deal with chocolate these days?") or if he was taking a sincere stab at stand-up. Some gave up on trying to figure it out, walking out well before the half-way mark. One audience member who decided to stick around was called up on stage so Pemberton could serenade him with "sultry" dance moves to the tune of "Strawberry Fields Forever." The evening was capped with Pemberton inhabiting his alter-ego, Dicker Troy, a union driver for major motion pictures. Needless to say, Troy was no Tony Clifton. Pemberton, who has appeared in several TV sitcoms and movies, including "Ant-Man," gets credit for trying something different. And there's reason to hope that the act, titled "Moving Through Physical Space" will get better (This was the first time "Space" was being staged outside of Los Angeles). He also gets points for giving it his all, at least physically. You could almost feel the sweat spraying off of him from five rows back. If Pemberton puts that much effort into his preparations, he just might have something.